The Lourdes grotto, located on the Ennis Road, was dedicated by Most Revd Joseph Rodgers, Bishop of Killaloe. The blessing was preceded by a solemn sung Mass in the parish Church after which the congregation processed to the shrine. Members of the clergy, the Columban Sisters from Cahercon, the Legion of Mary, the Pioneer Total Abstinence Association, the Men’s and Womens Confraternities, the Children of Mary and the Church choir and altar servers were among the groups that took part in the ceremony. A guard of honour was provided by the F.C.A. The site for the shrine was donated and Muintir na Tire sponsored the construction of the shrine. The shrine cost £750 in cash and 30 man-days in labour, all voluntary. 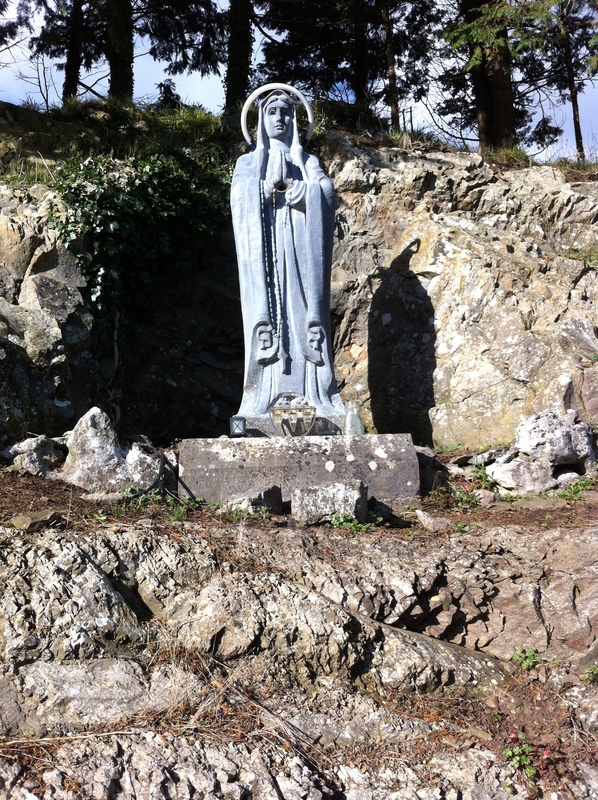 The statues of Our Lady and St Bernadette are sculpted from Wicklow limestone. An ancient Holy Well dedicated to Our Lady is located in the townland of Lacknashannagh. Traditionally crowds assembled here and did the rounds each year on August 15, the feast of the Assumption of Our Lady. The holy well and the surrounding area has recently been upgraded and a pathway provided. Many people come to pray at his ancient site on the feasts of Our Lady and throught-out the year.